Colours play a special role in our lives. The way we distinguish or interpret things is often based on colour. Did you know that colours can also influence the purchasing decisions of customers? If your product packaging or labels have the right colour scheme, the consumer may choose to purchase your product instead of another, or they may notice your product first on the shelf. The psychology of colour in marketing plays an important role in increasing your sales. 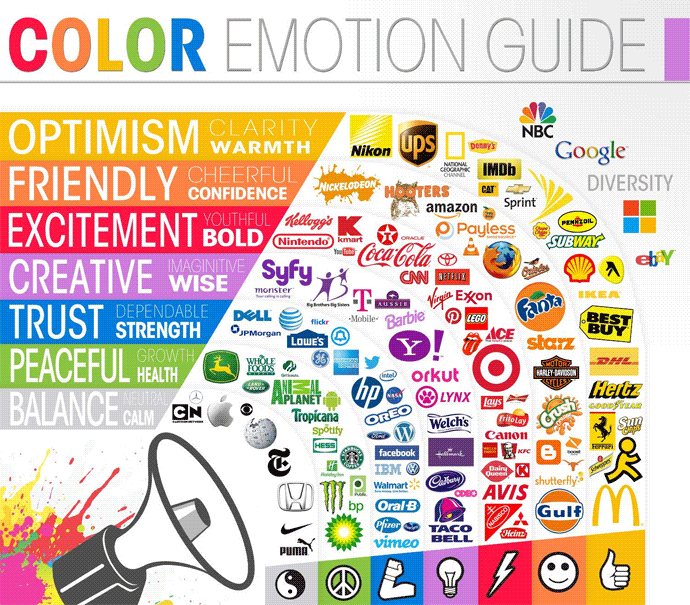 Here’s how you can choose which colours will benefit your marketing strategy. This is one of the most popular colours that can increase sales. This colour stands for power, youthfulness, boldness and excitement. Having the colour red on your labels or packaging can quickly catch the attention of the buyer. This colour should be used for products which are based on impulse purchases, since red is known to raise the heart rate. This can include products such as soft drinks, snacks or other food products. Yellow represents sunshine, warmth, clarity, optimism and cheerfulness. It is an excellent colour to use for marketing kid’s products. Marketers often use yellow to catch the attention of window shoppers. It is one of those colours that attract the human eye and it is also a stimulating colour. This colour stands for sincerity, trustworthiness, coolness and credibility. If your product stands for these qualities then blue is the colour for your packages and labels. Usually, products designed for men are best marketed with the help of the colour blue. Mixing blue with other complimentary colours can have a positive impact on your sales by implying credibility alongside other characteristics. Dark shades of blue are usually preferred by pharmaceutical and financial companies because of the trust and reliability factors that the colour stands for. Women’s products will most often have the colour pink used on their labels because pink has come to represent feminine qualities. Various shades of pink can have different meanings. A light pink is often associated with playfulness and innocence, whereas a hot pink may be associated with vivacious energy. Orange represents energy and is another power colour that catches the attention of a consumer. It creates a call for action. The action can be represented in the form of buying the particular product. It is also used as a colour of caution or attention. Orange is also a very popular colour for restaurants or for fast food, since it’s known to stimulate a person’s appetite and encourage impulse eating. This colour usually stands for growth and prosperity, but it’s one of the most versatile colours because it’s associated with many other things depending on its shade. Products which concentrate on good health such as nutraceutical products are well marketed with the help of this colour. Also, if you deal with an environmentally-friendly product, green is the preferred option for your customized product labels. Green is also the colour of money, so it can also be associated with wealth. If you have a highly sophisticated product, purple coloured packing is the best choice. It is most often associated with royalty and nobility. So, if you want to add elegance or prestige to your product, the use of purple is recommended. It is usually used in beauty or anti-aging products. Using colour psychology in marketing has been a tried-and-true method of choosing colours for a brand, and is a common practice of professional marketers today. Interested in talking to colour professionals about getting the right colours on your product’s custom label? Get in touch with our team at Jet-Label.